Vesuvius was an omnipresent force during almost our entire trip to Campania. In every part of the region we visited, the mighty volcano loomed over the horizon with its recognizable cloudy cap that made it seem even larger, more powerful and mysterious. 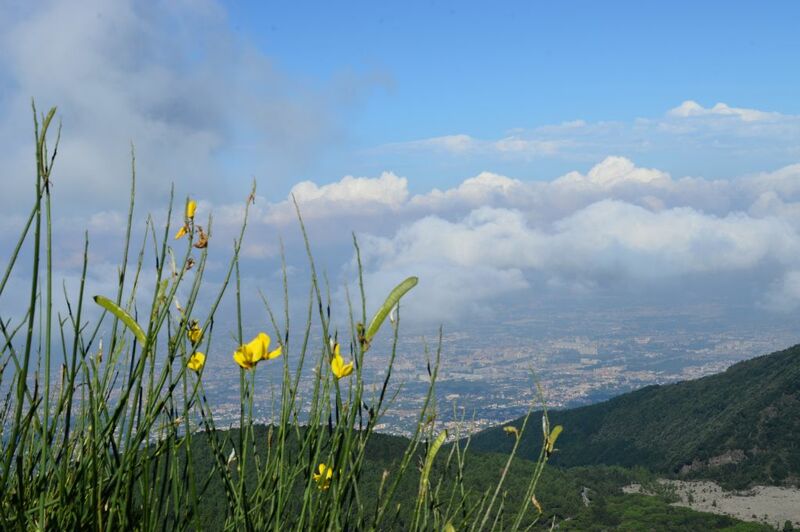 After becoming used to it, though, Vesuvius stopped appearing as a threat, but more as a landmark, a guide and even as a friend. 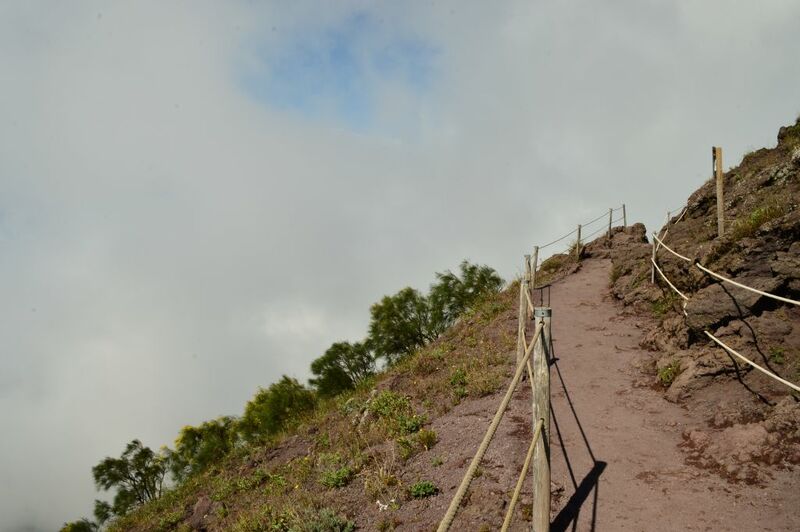 For that reason, the excitement was strong on the day we decided to climb the volcano and finally change the perspective – from looking at “it” to looking “from it”. Drive to our destination was a pleasant one, despite the narrow road and numerous bends. We could have almost forgotten that we were approaching one of the most famous and most dangerous volcanoes in Europe, if it weren’t for some slightly ominous sculptures along the road reminding us of the volcano’s history and power. However, the day was sunny and fresh and any possibility of danger seemed miles away. 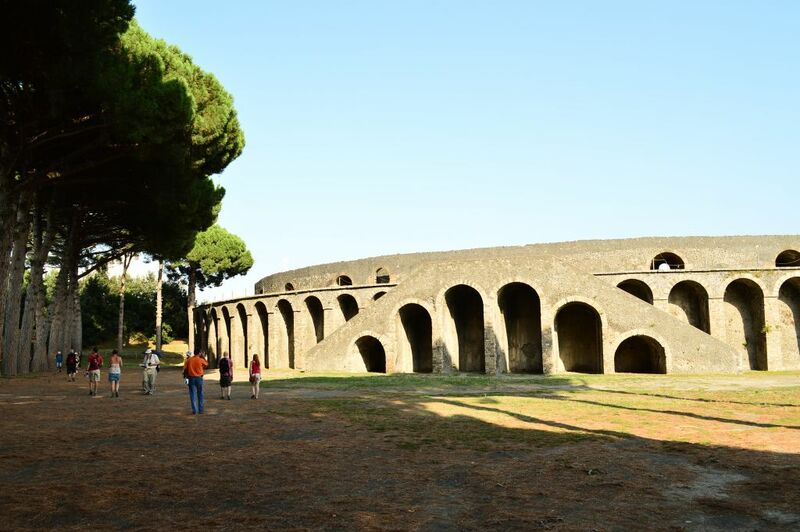 Vesuvius is a stratovulcano situated in the Bay of Naples, some 9 km east from the city. 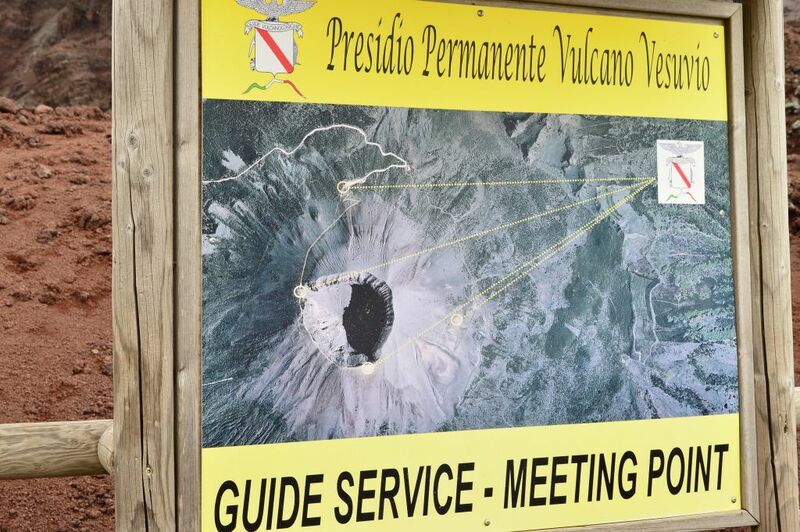 It is the only active volcano on the European soil, and its notoriety stems from the disastrous eruption that happened in 79. 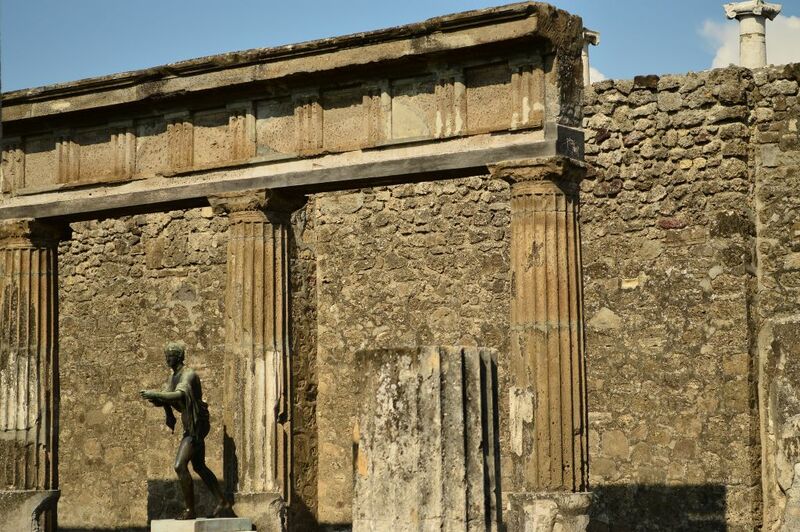 A.D. which caused the destruction of Roman cities Pompeii and Herculaneum. 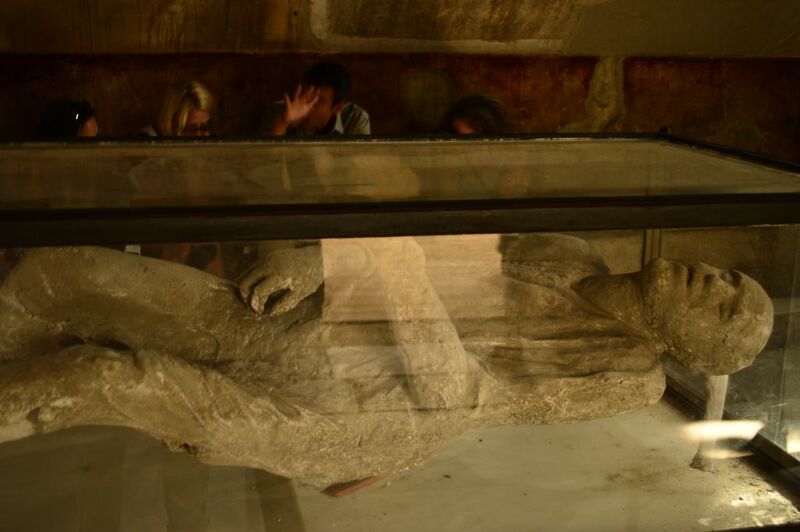 According to some sources, the eruption of Vesuvius ejected a cloud of fire, stones and ashes to the height of 33 km. Lava came out with the speed of 1,5 million tons per second, and the volcano emanated thermal energy one hundred thousand times stronger than the energy that was emanated by the atomic bomb thrown on Hiroshima. Since that event that happened more than 1900 years ago, in which around 16 000 people lost their lives, Vesuvius erupted several more times: it is the only European volcano to have erupted in the last 100 years, and it is today considered one of the most dangerous volcanoes in the world, given the fact that some 3 million people live in its surrounding. After parking our car on a designated parking lot some 200 meters below the peak, we continued on foot. The climb was pleasant, made even more so by occasional photo stops, interesting views and colorful rocks and stones scattered everywhere around us. The view of the vast and monumental city that is Naples spread below us for a part of our walk, but it soon disappeared in a thick envelope of fog. The blue skies and the sun disappeared from our sight and we were reminded once again about the place we were visiting – an unpredictable natural force that sowed terror and obliterated towns and people throughout history. As the weather changed around us, so did the mood of all of us tourists and climbers. We became more serious and, I guess, more contemplative, since the images of the sun disappearing in clouds of smoke appeared in our minds and made us shudder slightly despite the warm weather. 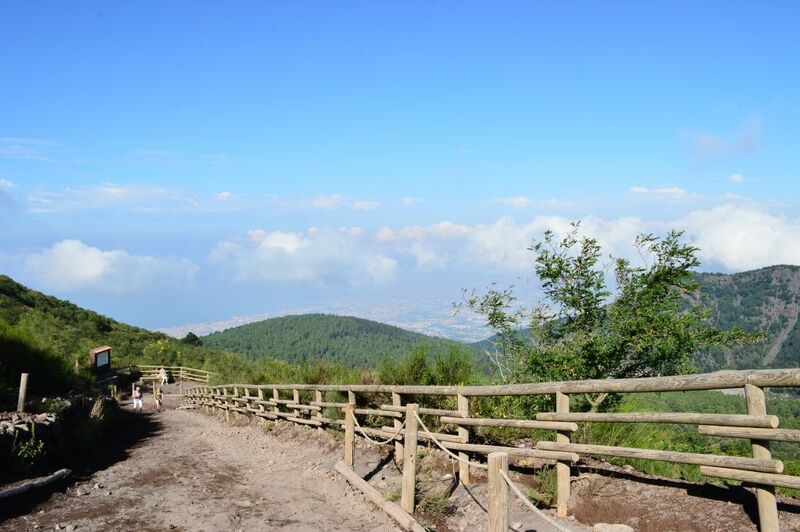 After a while, we found ourselves at the top of Mount Vesuvius. The feeling of awe slowly gave way to the feeling of… let’s call it anticlimax. I don’t know what we expected to see once we climbed to the top, but what we did see was a quiet, dormant, empty hole with its sides covered with grass and flowers. 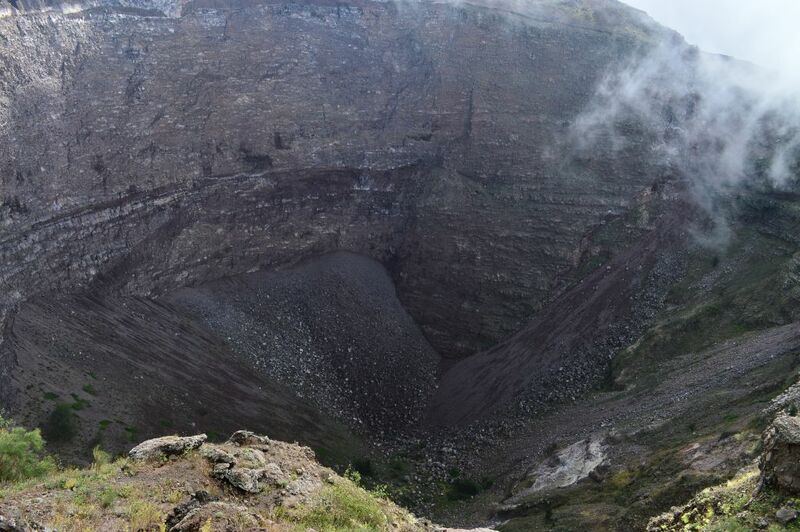 As we stared into the bottom of the hole, we had hard time imagining the natural horrors the Vesuvius is famous for, although, on closer observation, we could see small cracks in the ground from which whiffs of smoke and steam came out. I guess it was the volcano’s way of reminding us that there is still great power and danger below the quiet, idyllic surface. The sleeping giant may not be so sleepy after all. 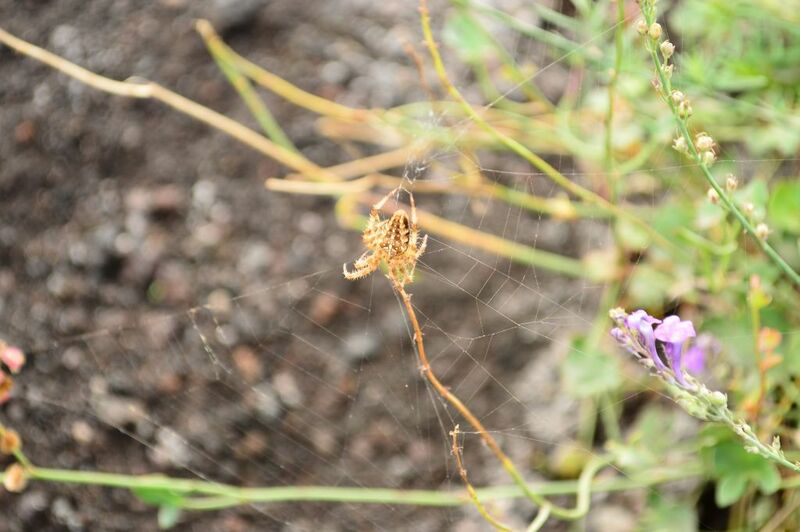 We spent a lot of time at the top of Vesuvius, strolling around the mystical place, taking photos, waiting for the fog to lift and contemplating about the power of Nature. We also had a glass of Lacrima Christi, a local vine made from grapes growing on the slopes of the volcano that has the power to both feed the man and help him live and destroy the man and everything around him. 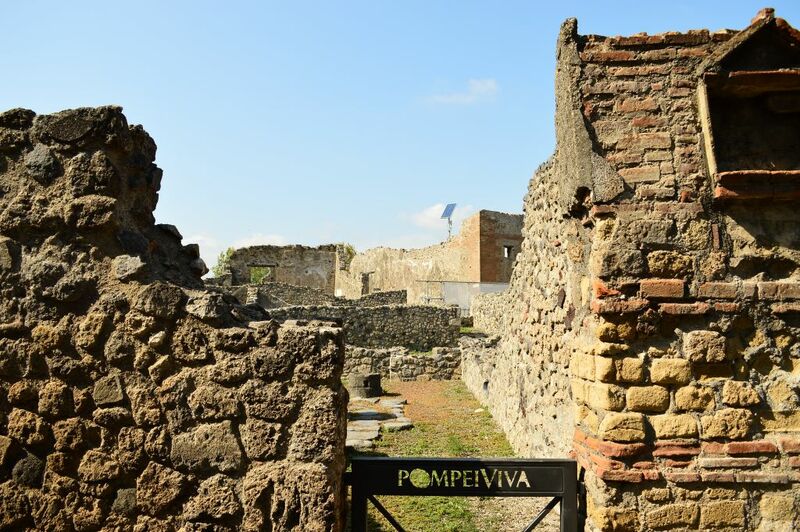 After our descent from the Vesuvius, we went on to visit the archaeological site of Pompeii, a Roman town located close to present-day Naples made world famous by a powerful eruption of the Vesuvius in 79 A.D. that destroyed the entire town and covered it with ash and dust. 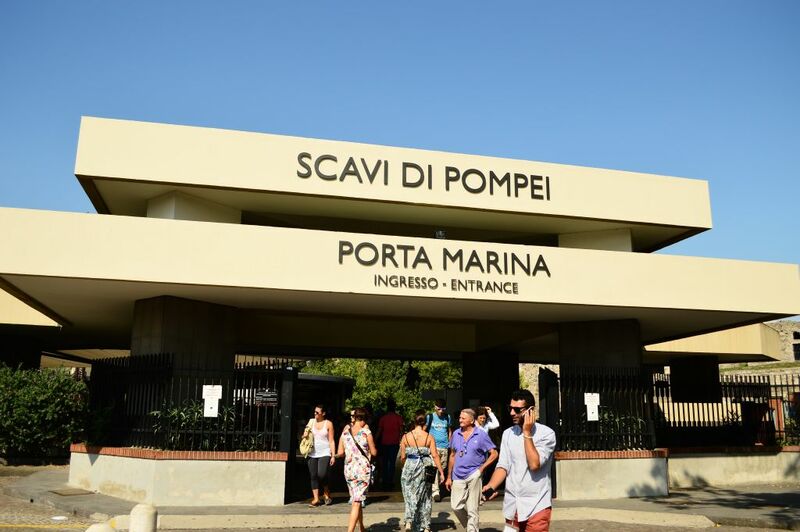 The somber walk around the monumental excavation site and the view of the houses, streets and remainders of life that disappeared in a matter of few days filled us with a mix of sadness and awe. It also gave us a strange impression of being in the middle of a movie set for some historic spectacle. Entering the rooms and patios of Roman houses felt rude and voyeuristic, as if we were not supposed to be there and we were trespassing onto private property. I almost expected someone to suddenly appear and scold us for snooping around their homes. 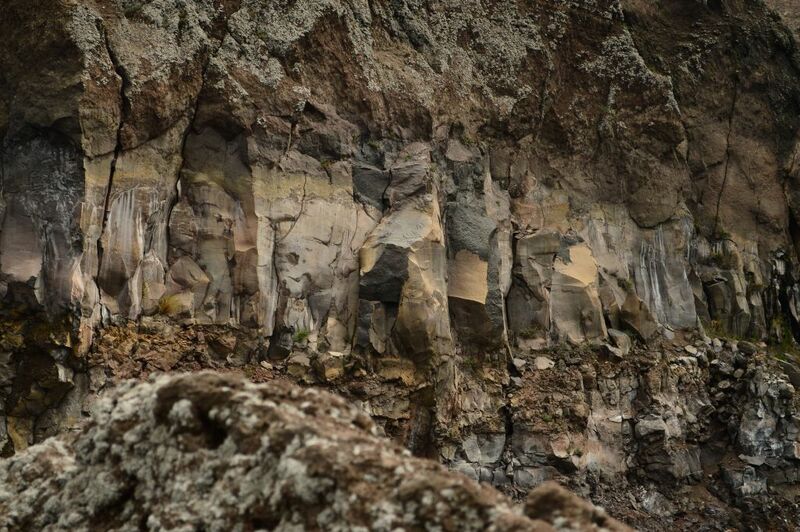 This did not happen, of course, and we continued with our quiet, sad, but in a way, poetic walk, thinking about all those people whose lives, stories, dreams and expectations ended up covered under the thick layer of volcanic dust and forgotten for almost 1500 years. 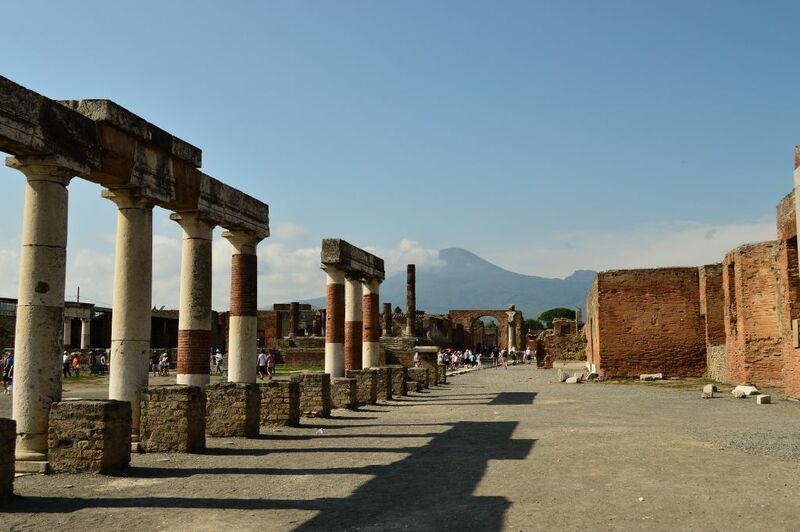 I would recommend it to anyone to visit Vesuvius and Pompeii in the same day. Seeing the two places – one, the symbol of Nature’s power, other, the symbol of human achievement – whose stories are so deeply intertwined is a certain recipe for experiencing a roller coaster of emotions. From admiration and enjoyment to empathy, sadness and the profound feeling of loss. 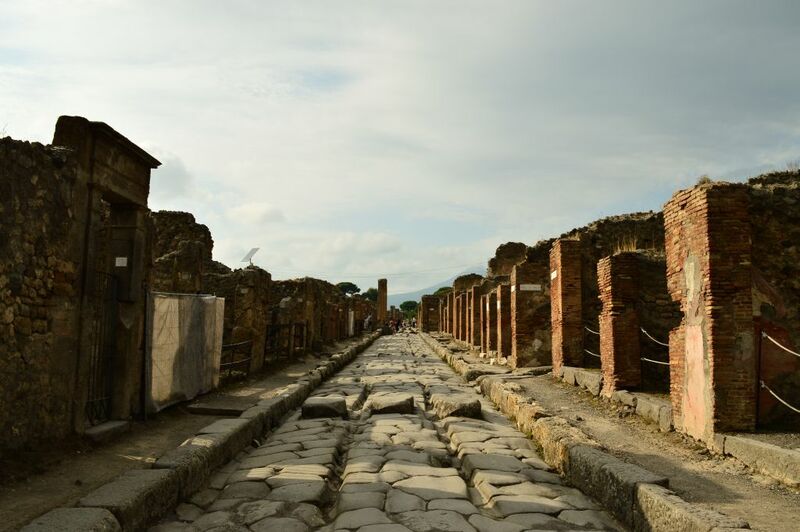 One emotion, however, remained a constant throughout our visit to Vesuvius and Pompeii, and that was awe – awe towards the Mount Vesuvius and its might, awe towards Pompeii as a quiet, everlasting reminder of human greatness, but also human fragility.